Clean air is an essential requirement, but the air quality is depleting like anything. Often you get news of major cities across the globe, engulfing in a thick blanket of smog making it difficult for people to breathe. Those having allergies are worst affected. With air pollution existent everywhere, we don’t get to inhale pure air indoors as well. Instead of waiting for the day when the air quality will get better, it is advisable to make use of technology to make air clean and breathable at least inside your homes. During the spring season, there are pollen particles in the air that give tough time to asthmatic patients. These also cause irritation to eyes in some adults and children and are even the cause of hay fever. Installing a good air purifier that has HEPA (High-Efficiency Particulate Air) filter can help in eliminating the pollens from indoor air. In humid weather, mould spores are formed in areas such as bathrooms as they are known to thrive in damp and humid areas. They can cause severe lung infections, but having air purifier installed at home can keep these mould spores at bay. If you are living in an area where there is a lot of construction happening or you are close to a busy road, then the air around you is prone to dust mites. These can trigger allergies like runny nose, cough etc. Air purifier helps in keeping the dust away and making the air clean to breathe. At times, while cooking there is a fragrance of spices and curries that linger in the indoor air. To make the air feel fresh, air purifiers help. If you have pets at home, then they bring with them skin dander, pet odours etc., which could trigger a respiratory distress in a family member who is prone to allergies. To keep family members and those visiting you safe, it is better to install an air purifier. An air purifier is a must in case there is someone in your family who smokes. Passive cigarette smoke inhalation can cause lung cancer in those who stay around the smokers. To eliminate the lingering smoke from the air, it is important to have an efficient air cleaning system.Otherwise, it clings to the walls and furnishings around causing health problems for non-smokers. There are bacteria present in the household surfaces as it has the tendency to thrive in the warm and humid areas of the home. It can cause constant allergies and serious illnesses to young and old alike. The filters in the air purifier help in removing these bacteria and making the air safe to breathe. Some people think that it’s only the outdoor air that is contaminated and once inside their homes they are safe. In fact, indoor air quality is often as bad as the outdoor air and sometimes even more. There are germs, bacteria and dust mites that are present indoors and then the outdoor pollution also gains entry to your home or office. We often change our clothes and wash our face and hands when we come from outside. While we clean ourselves, the air we are breathing isn’t cleaned by these activities. 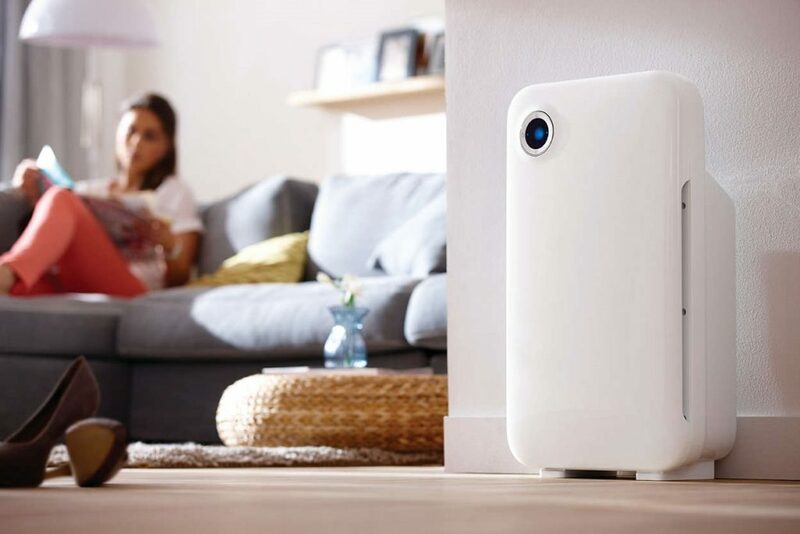 To make it clean and safe for breathing, you definitely need an air purifier.